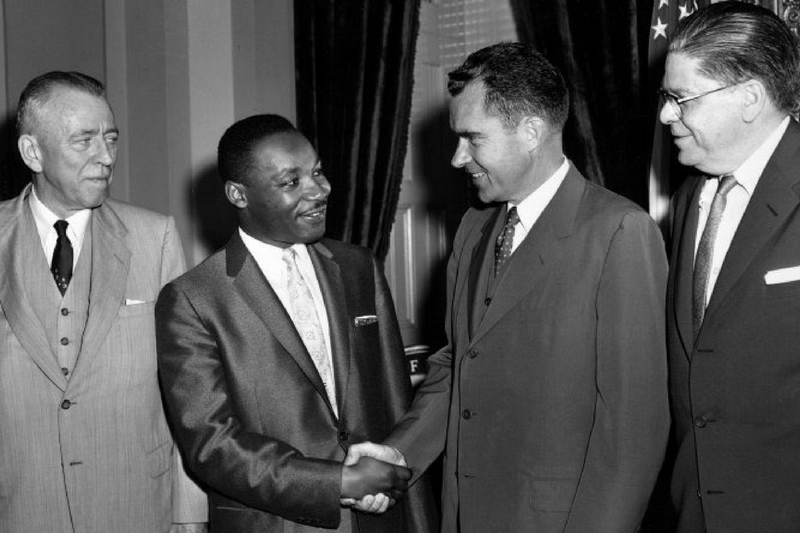 Working with iconic civil rights leaders including Martin Luther King, Jr. and E. Frederick Morrow, Richard Nixon was one of the most ardent of national leaders to support civil rights in the 1950s. The efforts of the Eisenhower administration, led by Vice President Nixon, culminated in the Civil Rights Act of 1957 – the first of its kind since 1875. Still more, as President, Nixon desegregated Southern schools; created the Office of Minority Business Enterprise and promoted minority hiring; and implemented the Philadelphia Plan.